It’s versatile and amazing, like a gemstone - the velvet Orchid. Perfume Pyramid, opening, lasting power, sillage and my thoughts. Hi, dear readers! Actually, I love buying new perfumes. But my wishlist was full, and I managed to get this one only a year ago, even though it was launched in 2014. But it’s better late than never The Velvet Orchid is a very famous perfume and I bet you know it already. Ethereal Flower on your skin - this is Velvet Orchid by Tom Ford. After reading a review about the Tom Ford Velvet Orchid perfume I understood that I definitely needed it. It was not so easy to find, but when I actually did, I fell in love with it. 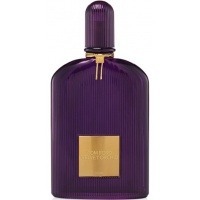 The Pyramid of the scent: The bottle has a beautiful rich dark-purple color. The first diffusion….